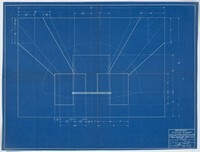 Basketball backboard plans by the Fed Medart Manufacturing Company, created on April 6, 1939. The backboard was developed by Phog Allen. 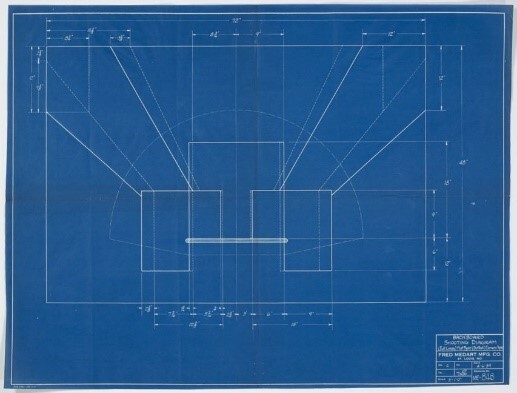 “Plans for a practice backboard showing shooting diagrams, April 6, 1939,” KU Libraries Exhibits, accessed April 22, 2019, https://exhibits.lib.ku.edu/items/show/7629.